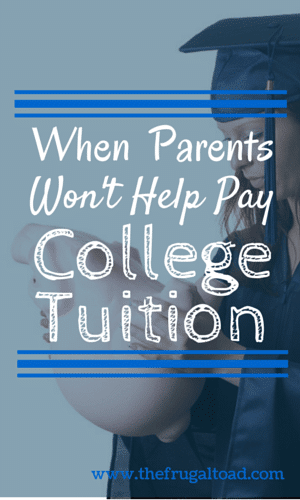 With college tuition costs continuing to rise faster than the rate of inflation, more parents are struggling with the idea that paying for college is exclusively a parental responsibility. The average yearly cost for tuition, room and board at a 4 year public university now costs $16,614 and $39,569 at a private university. That puts the total tab for a 4 year college degree at slightly more than $66,000 if you plan on attending a public university. While the vast majority of parents believe college is very important to their child’s future, fewer parents are making plans to help pay for it. According to a new survey by Discover Student Loans, 75% of parents are planning on helping to pay for their child’s college degree in 2015 versus 81% of parents in 2013. Almost 25% of parents cannot to afford to pay for any of the costs associated with their child’s college education and 46% feel their children should pay for at least part of their college education. 44% of parents are more likely to help pay for their child’s education if they choose a major that has a better employment outlook. This is up 11% from 2014. 47 percent of parents feel earning potential is more important than their child’s choice of major. This is up 7% from 2014. 48% of parents said they were limiting which college their child can attend based on price. This is up 4% from 2014. Clearly, parents are looking at paying for college from a much more practical standpoint and are more concerned with the value they will be receiving for their investment. If you or your parents are struggling with how to pay for college, here are some things you can do to make college more affordable. Whether you plan on attending a 4 year private university, a technical college, or entering the workforce directly, your high school transcript will in large part determine the options that will be available to you after graduation. Grades are a measure of performance not necessarily intelligence and they are used by all sorts of people from college admissions officers to HR Managers in making judgments about your work ethic. We all know a classmate that got straight A’s and was able to recall information with very little effort while you may have struggled to master a concept after many hours of study. The grades on your transcript will follow you for the rest of your life so if it requires staying after school for extra help, then why not put in the effort that will make you a better learner? If you already have good grades you may want to consider taking Advanced Placement (AP) or Dual Enrollment courses. AP courses prepare you to sit for the AP exams and many colleges will award college credit as long as your score is high enough. Dual Enrollment courses on the other hand require students to enroll in a college and allows them to earn college credit while still in high school. There are pros and cons to both of these options so you want to carefully research which courses will transfer to the college you are planning on attending. When I was 12 I had a paper route and mowed grass for income and used the money I saved to buy my first 35mm camera. While you might not be able to deliver the Sunday paper you certainly can earn money by working part-time. There are plenty of opportunities to earn money for teens, however, if you are under 16 years of age you will have to think outside the box and include your parents in your plans. Some potential income opportunities for teens and pre-teens include: car washing/detailing, shoveling snow, raking leaves, walking pets, pet sitting, gardening, mowing grass, house sitting. Setting aside at least half of your earnings can result in a decent amount of money by the time you are ready to attend college. 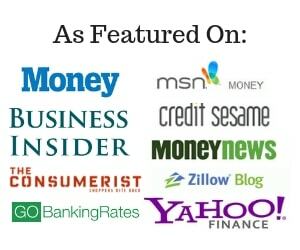 Want to grow your savings? Have your parents open a college savings account in your name and have them make deposits from your part-time earnings. Continuing to work part-time during college can not only provide you with spending money, it can provide you with invaluable work experience and skills that you can add to your resume. Enrolling in community college your first two years is a growing option for many students and parents that are struggling to pay the high cost of a college education. By commuting from home and attending a local community college your first two years, you can drastically reduce the cost of your 4 year degree. One potential downside to this option is that not all courses will transfer so you will need to verify with the university you plan on receiving your degree from which courses will be accepted. Many community colleges have remedied this problem by designing new transfer programs in conjunction with other universities that guarantee as long as you complete the program all courses will receive transfer credit. Average room and board at a 4 year public college runs just under $9500 and that represents nearly 57% of the total yearly cost of a college degree. One popular option is to live off-campus and share the costs of room and board with several roommates. There are obvious issues with this sort of arrangement but if handled successfully and everyone pays their fair share, can result in some serious savings. It’s best to reach an agreement on what costs will be shared before signing any lease and choose your roommates thoughtfully. I am passionate about golf but that doesn’t mean that I can make a living at it. Choosing a major is an incredibly personal decision and one that should be given careful thought. The last thing you want to do is invest tens of thousands of dollars in a degree that you won’t be able to find employment for after graduation. A great place to start is your high school guidance counselor or college career office. They will often suggest that you take a career aptitude test to help you match your interests with potential careers and can even help you research the job outlook for various occupations. Let’s face it, you are most likely going to have to take out a student loan to pay for college but by using the above strategies you can reduce the total cost of your college education. These are really good points. The cost of education is becoming ridiclously high and I think it is important that parents find a balance between helping with their kids education financially and saving up for retirement. If things are not done properly, the parents may become a financial burden to the kids later on in life. Choosing a major is a decision that should most definitely be made with thought towards employment rate however, it is obviously more important to choose a major that you are passionate about. With luck you can have both! With the drop out rate approaching 50%, it’s a shame too many discover too late that college is not the right choice for them. I found that I was more motivated in college since I was paying my own way. It’s a powerful motivator! Parents are really worried when the cost is increasing and so is the unemployment rate of the graduates. It’s good to choose a major that will turn out well for their children, but will it motivate them enough? A heart-to-heart discussion should be done. Thanks for the nice post! I’d have tried my best to study and work part-time as the same time, given if my parents hadn’t paid for college tuition. Or you could just build skills that don’t require a college degree. We are moving towards a meritocracy that rewards performance instead of “credentials” … unless you are training to be an engineer, doctor or lawyer, most kids these days are better off attending the U of I (internet). Great tips! My sister is in college right now and has made a deal with our parents. They agreed to pay for two years, but she has to cover the remaining two, plus all her living expenses. So far she seems to be enjoying working, school and taking care of herself. Not to mention the added motivation when your child is invested in their education! Great tips. I think it’s so important with the ever increase cost of college tuition that parents and children sit down and figure out a plan. Understand ROI on a degree, what the earning potential of a career path, etc Look at all funding options, savings, scholarships, working P/T etc. I attended community college as well and had several courses transfer. It is a great way to cut the cost of college! I was lucky that my parents paid my tuition fees in my five years in college. If had not, I would have gotten a scholarship or worked part time as there were many students back then who survived college finances because they worked hard and got a job. I’m glad you mentioned the 2-year college option. That’s what I did, and saved a good amount of money on my BA. Another thing to consider is Phi Theta Kappa, the international honors society for 2-year colleges. PTK members have access to scholarships, reduced tuition at specific colleges, and other amazing benefits!